Rockford – David Lee Johnson, 88, of Rockford, passed away Friday, November 16, 2018 at home surrounded by his loving family. Born July 9, 1930 in Rockford, son of Gunnard Nils and Ethel Kerrison Johnson. Lifelong Rockford resident. Attended Rockford East High School. David was a U.S. Army veteran serving 18 months in Japan and 8 months in Korea with the 49th Field Artillary-7th Division receiving his discharge on Friday the 13th of March 1952. 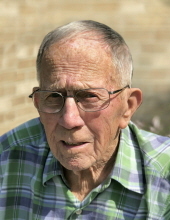 He was the first Rockford soldier to return from the Korean War. Married Margaret (Maggie) Sue Glawe May 11, 1957 in Evergreen Covenant Church, Rockford. He operated Dave’s Standard on Charles Street for a brief time, was employed at Sems Division, Funk’s Sinclair Service, Staley Cartage, and was owner/operator of Dave’s 66 on Broadway for eighteen years. Dave enjoyed his grandchildren, family gatherings, card games, casino trips, reading, and putting puzzles together. He especially enjoyed keeping his lawn mowed and trimmed. During their 61 years of marriage, Dave & Margaret enjoyed many trips with family and friends including Wisconsin resorts, Caribbean cruises, Alaska cruise, and Hawaii. Survivors include David’s wife, Margaret Johnson, Rockford; son, Steven (Joan) Johnson, Rockford; daughter, Cheryl May, Albuquerque, NM; grandchildren, Collin Johnson, Michelle Johnson, Emily May, Rachel May; brother, Darwin (Maryann) Johnson; sister, Beverly (Ken) Larson; sister-in-law Jean Olson; numerous nieces, nephews, and cousins. Predeceased by his parents; brothers, Keith, Don, Raymond and Robert Johnson; sisters, Patricia Johnson, Jean Holms, Joan Erickson. Memorial service 11:00 a.m. Saturday, November 24, 2018, with a memorial visitation starting at 10:00 a.m., at Genandt Funeral Home, 602 N. Elida St., Winnebago with Chaplain Joe Militello of Heartland Hospice in Rockford officiating. Cremation rites accorded. In lieu of flowers memorials to Heartland Hospice in Rockford. For an online obituary and tributes go to www.genandtfuneralhome.com. With United States Army Funeral Honors. "Email Address" would like to share the life celebration of David Lee Johnson. Click on the "link" to go to share a favorite memory or leave a condolence message for the family.